Luigi Pirandello was an Italian author who was awarded the Nobel Prize for Literature in 1934 for his bold and brilliant renovation of the drama and the stage. Pirandello’s plays are often seen as forerunners for theatre of the absurd. Typical for Pirandello’s plays is to show how fiction mixes with reality and how people see things in very different ways. Art was for Pirandello the ultimate paradox, in which reality is at the same time true and false, and the unmasking of illusion often causes violence. Pirandello’s works include novels, hundreds of short stories, and c. 40 plays, some of which are written in Sicilian dialect. Pirandello was born in 1867 in Girgenti, now Agrigento, on the island of Sicily. His father was a sulfur dealer and expected his son to take up his trade, but Luigi excelled in his academics and was allowed to pursue a literary schooling. He entered the University of Rome in 1887, later transferring to Bonn University where he completed a doctoral thesis on his native Sicilian dialect. Pirandello initially translated Goethe’s Roman elegies as his first creative effort. 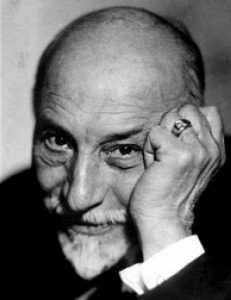 After meeting up with the Sicilian novelist Capuana, Pirandello focused his attention on naturalistic fiction. The Outcast in 1893 was his first novel and contained the roots of things that would appear in his later writing. The sense of tragedy and disillusionment so prevalent in his works is primarily the result of a personal experience. In 1894, at the age of 27, he married a young woman whom he had never met. The marriage, arranged by his parents according to custom for him, linked him to Antonietta Portulano, the daughter of his father’s business partner. The girl’s mother had died in childbirth due to her father, whose insane jealousy would not allow a doctor to be present during the birth. The young couple were fine until after the birth of their third child, coupled with the loss of the family fortune in a flood. At that point Antonietta suffered a mental breakdown and became so violent that she should have been institutionalized. Pirandello instead kept her at home for seventeen years during which she insanely terrorized him and his three children. Their daughter was so disturbed by her mother’s illness that she tried to commit suicide, but failed when the old revolver she used failed to fire. His wife’s illness had a profound effect on Pirandello’s writing as well, leading him to impose madness, illusion, and isolation in many of his plays. It was only in 1919, with the financial success of his plays, that he was able to sent Antonietta to a private sanitarium. Pirandello’s first widely acclaimed novel, The Late Mattia Pascal, was written in 1904. Within the next ten years, up until the First World War, he published two other novels and numerous short stories. In 1916 he first focused his attention on the theater and quickly became enthralled by the possibilities it presented. Inspired, Pirandello wrote nine plays in one year, including his first three plays, Better Think Twice About It!, Liola, and It is So!, If You Think So, which were all each written in less than a week. In 1920 he achieved critical success with As Before, Better than Before. In 1921 his career culminated in a five week period during which he wrote his two masterpieces Six Characters in Search of an Author and Henry IV. Six Characters opened successfully but scandalously in Rome and later succeed with its opening in Milan as well. Soon the play was being directed by Komisarjevsky in London, Brock Pemberton in New York, and Max Reinhardt in Germany. In 1922 he watched as two more of his plays opened: Henry IV and Naked. In the years 1922 through 1924 Pirandello finally became an important public figure. He received the Legion of Honor in Paris, and in 1925 opened his own Art Theatre in Rome. Supported by Mussolini at this time, his relationship to the dictator has created a great deal of controversy. It is openly known that Pirandello supported fascism, though whether out of practicality and in order to advance his career remains obscure. He is well known for the statement that “I am a Fascist because I am an Italian.” Later critics have drawn on his play The Giants of the Mountain as a sign that he was starting to realize the anti-cultural aspects of fascism and used it to defend his actions. However, on his last appearance in New York, Pirandello voluntarily issued a statement supporting Italy’s annexation of Abyssinia. Worse, he handed his Nobel medal over to the Italian government to be melted down for the Abyssinian campaign. Whatever his motives, Mussolini’s support brought him international fame and introduced the major theatrical centers to his version of the theater. He wrote two acknowledged masterpieces during his career, Henry IV and Six Characters in Search of an Audience. Henry IV seems to have been largely influenced by his wife’s illness, and contains the themes of madness, illusion and isolation. The protagonist goes mad after falling from a horse in a masquerade and imaging that he really is the character he was pretending to play, Henry IV. His madness is supported by a wealthy relative who provides him with retainers. Twelve years later he wakes out of his delusion, but continues to feign insanity when he realizes that he prefers the stability of his world to the vagaries of the real world. When he is visited by the woman he used to love, her lover, her daughter, and a doctor, he becomes very angry with them for trying to snap him out of his madness. The play ends with the death of her lover, and Henry IV continues with the pretense of madness in order to escape punishment. The most popular of Pirandello’s comedies, however, is Six Characters in Search of an Author. Here, six characters that have been created by their author but left in an unfinished drama arrive at a rehearsal of a Pirandello play. They proceed to convince the director to allow them to perform their drama for him. In the process, Pirandello shows the difference between the characters and the real actors who try to imitate them. Six Characters in Search of an Author marked the pinnacle of his career, but Pirandello continued to write until the time of his death. His personal life took a turn for the better when he met the actress Marta Abba, for whom he wrote most of his later plays. In 1931 the actress Judith Anderson appeared on Broadway in Pirandello’s As You Desire Me. In the film version Greta Garbo assumed the role, and as a result of his influence Pirandello was awarded the Nobel Prize in 1934. At the time of his death in 1936, he was in negotiations to appear in a film version of Six Characters. Pirandello’s death was celebrated with a state funeral in spite of instructions for his funeral that stated: “When I am dead, do not clothe me. Wrap me naked in a sheet. No flowers on the bed and no lighted candle. A pauper’s cart. Naked. And let no one accompany me, neither relatives nor friends. The cart, the horse, the coachmen, e basta. Burn me.” Since the church opposed cremation and the Fascist Party refused to allow him a pauper’s death, his wishes were ignored. His plays live on after his death, and his influence has extended to writers such as Beckett and Ionesco.